Appiano and surroundings is considered the riches area in castles of South Tyrol. Already in ancient times people were attracted by this region. 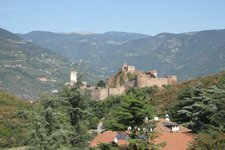 More than 180 castles, mansions and residences surround the municipality of Appiano, conveying a special atmosphere to this region and taking you on a time travel. For your orientation, there is a castle map, showing you where the historical buildings are located, as well as giving detailed information on the back page. This map is available at the tourist office of Appiano at the Piazza Municipio in S. Michele. 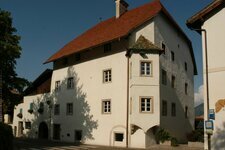 For further information on the historical buildings, also see the following articles. Castel Boymont rises above the village of Missiano and can easily be reached on foot. Matschatsch Castle is located on the road which proceeds up to the Passo Mendola. Castel Palù is located in Appiano Monte, hosts a museum and is an aristocratic building. White towers rise at Paschbach Castle above the wine growing area of Appiano. 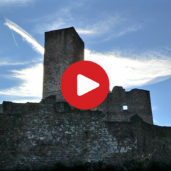 On a gentle hill above S. Michele, there is the mighty castle of Castel Freudenstein. At the Turmbach residence in Appiano Monte, idyllic peace and quiet can be enjoyed. The Prielhof is located in Appiano Monte, a small but mighty village above S. Michele. This famous tower called “Kreideturm” is located about 50 m beneath Appiano Castle.